Activists have reported that they woke up this morning to see newly erected barbed wire fences and other barriers. Maryam AlKhawaja, Acting President of the Bahrain Center for Human Rights, said, "they're caging in entire villages with barbed wire". 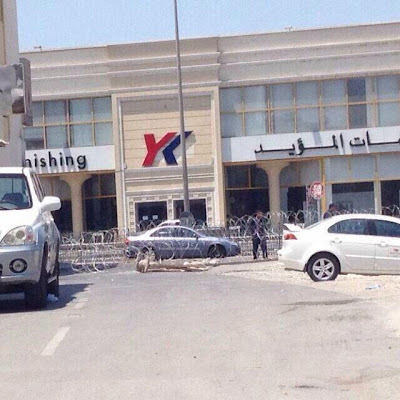 Nick McGeehan from Human Rights Watch described it as "Barbed Wire Bahrain". Al Wefaq opposition society reports that security forces have "surrounded entrances of Sitra island with barbed wire and roadblocks". They add that Sitra "has been living under growing fear due to the regime’s violence", with 15 citizens from Sitra having been killed since the uprising began on February 14th 2011. 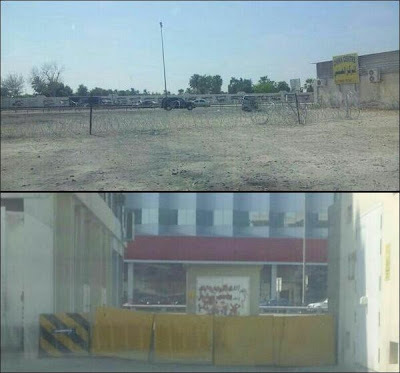 Maryam AlKhawaka also reports that Sitra "has been closed off with barbed wire, except a few entrances guarded by security forces" and similar reports have been heard about Sehla village.